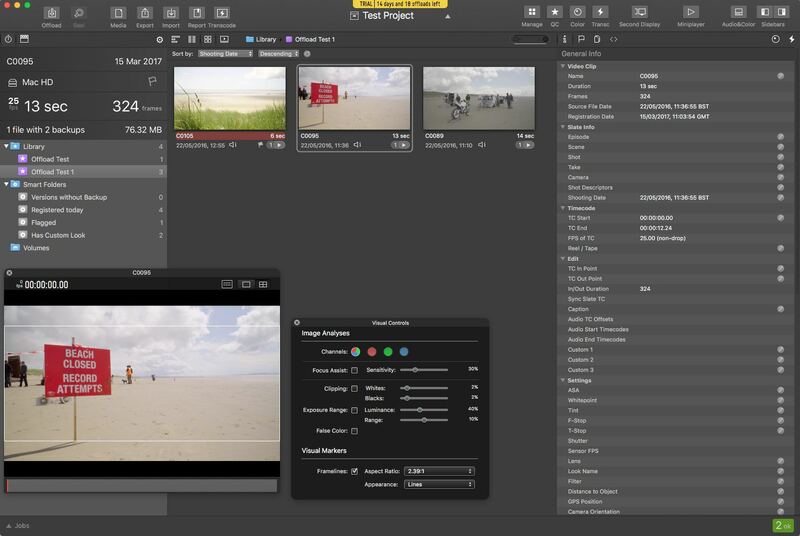 Silverstack Lab is the latest evolution in Pomfort’s industry standard DIT data management and live colour grading toolset, that just launched. 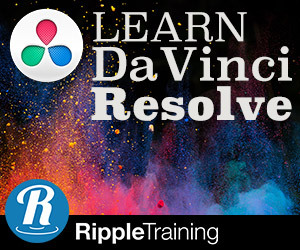 I’ve previously reviewed Silverstack in this round up of DIT tools, which is part of an on-going series of posts covering the world of being a Digital Imaging Technician. In this sponsored post from Pomfort, I got to take a sneak peak at the latest addition to their insanely feature-rich DIT software while it was still in beta. Silverstack Lab is the newest app in the Pomfort line up, alongside Silverstack and LiveGrade, and which now incorporates many of the common tasks a DIT needs to accomplish on set, into one easy to manage workflow. Rather than using several different pieces of software to securely copy, back up, grade and transcode the raw footage into dailies with a look baked in, Silverstack Lab becomes the centre point of all that work, consolidated into the Clip Library at the heart of the Silverstack platform. The huge inherent benefit to the Clip Library is that you now have a saved project file which contains all of the metadata, assets and information related to a project. This can then be added to as the project progresses and be called up at a moments notice, even months after the job was finished, to check a specific detail or piece of metadata. The minute Silverstack starts downloading footage, it’s immediately available for QC, sound sync, metadata management, colour grading. This way I can get started working on the footage before it’s even done downloading. This hugely accelerates the dailies process. Check out my full interview with Thatcher below to learn more about being a professional DIT and his thoughts on gear, software and the role of the DIT. In the short promo video above you can get a good sense of how Pomfort see Silverstack Lab fitting into the production and post workflow. 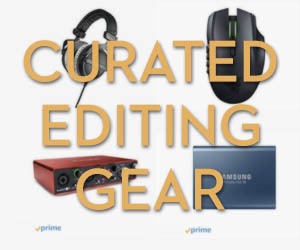 Silverstack Lab comes with an incorporated matching wizard that automatically associates clips with appropriate digital looks and syncs respective audio tracks. 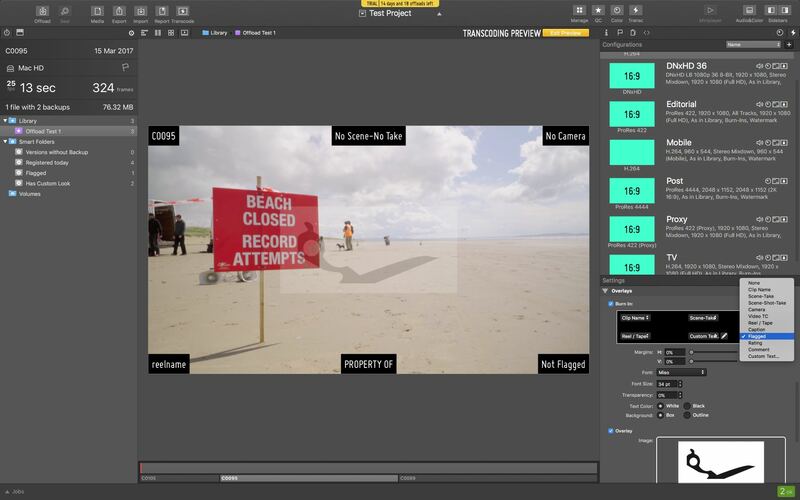 Complemented by a high performance transcoding engine, which lets users simultaneously transcode clips to all common file formats, including DNxHD MXF, ProRes flavours, and H.264 clips, the dailies creation task reaches a whole new level of productivity. You can download a fully functional free 14 day trial, with 20 offloads, from Pomfort.com to give it a try for yourself. As for the pricing, Pomfort have to options available, a one-time project duration fee, or a yearly subscription license. The project fees start at $99 for 14 days, extending up to 2 months for $319 and a yearly subscription is $899. This flexibility helps to make it somewhat more affordable, especially if you’re working as a DIT on a more sporadic basis. But it’s definitely a price tag that’s more ‘professional’ than ‘prosumer’. Each license comes with direct email support from Pomfort and can be migrated from Mac to Mac. The process of creating colour corrected dailies in Silverstack Lab starts with offloading your media from the camera cards to your destination drive or drives. These file transfers are checksum verified via several options available including XXHash, MD5, SHA 1 or File Size Verification, to guarantee everything has copied accurately. The offload window also helpfully points out the relative speed of these checksum verifications, so for example XXHash is faster than the more widely used MD5. In testing out Silverstack Lab I was reminded of just how feature rich every part of the process is with Pomfort’s software. Where as some apps make it as simple as dragging and dropping and hitting go, there are a so many useful optional variables added to the process – such as allowing for partial offloads or the use of customised presets – that you have to think a little bit more about what you’re doing. This is in fact a very good thing. Having to think just a tiny bit harder about what you’re doing helps to eradicate the kind of sloppy mistakes you get from rushing through a process without fully considering it. This doesn’t mean the process is time-consuming – that’s why you can save presets in the first place, but it does give you the potential for more detailed and flexible workflows. Now that the clips are in the Silverstack Lab Clip Library you can manage them, edit their innumerate metadata, flag, tag and organise them in a plethora of different ways. In the image above you can also see the two floating clip preview and image analysis control windows, which allow you to check the integrity of your images with highlights for clipping, focus and more. You can also use the overlaid frame-line guides to check composition and clearance. The FCPX style Smart Folders are also great ways to organise your footage and can be customised based on various different metadata labels. Everything you could possibly want or need to know about your footage is at your finger tips. Another nice facet of the user interface is that you can toggle the appearance of the side bars and colour grading controls as you wish, to help bring focus to the particular task at hand. 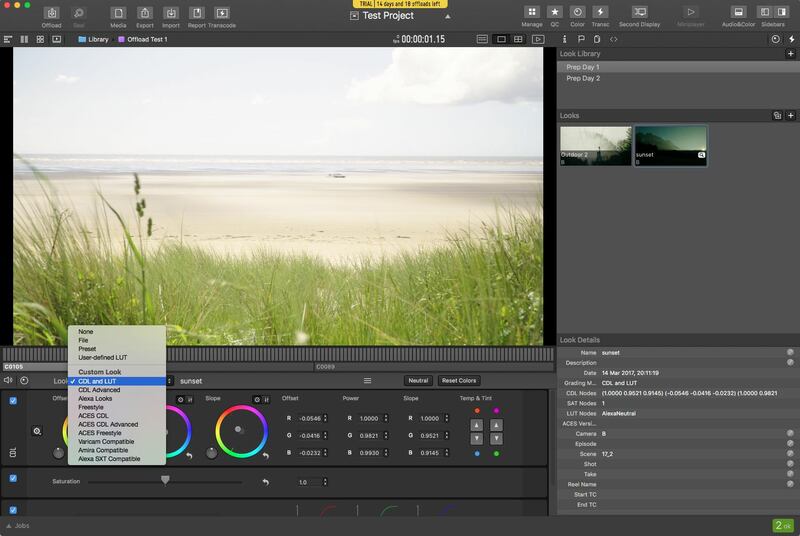 In this image you can see the colour grading options available in Silverstack Lab, which includes the ability to create custom looks with the three-way colour grading controls, curves, built-in LUTS, custom LUTS and CDLs (Colour Decision Lists). You can save these out as presets for the project, and the Looks Library and preview window makes it easy to quickly add or customise a look in a few seconds. This brings us on to the new feature set in Silverstack Lab which is the transcoding pane. In the image above you can see that I’ve toggled on the 6 possible burn-in areas, which include 12 different options listed in the drop down menu to the right. The ‘Property Of’ is an example of what you might want to do with the custom text. You can adjust all of these, change the font, size position etc, to your own preference. You can even embed an overlay image for further security purposes. I did ask whether these on-screen details could be batch enabled, for example if you wanted to be able to output watermarked dailies with custom information in each burn-in for different recipients, but that isn’t possible yet. The green 16:9 icons you can see on the upper right hand side are transcoding presets for common scenarios, although you can of course create your own saved custom templates. What I really like about these presets are the icons which give a clear visual indication of which options are enabled in each of the presets. In the image above from left to right these are Audio, Colour, Frame-lines, Burn In and Watermark. At a glance you can now see what you’re going to get from each preset, without scrolling through the details of all the options. Once you’re done for the day and you want to export a detailed report, that’s also achievable in a couple of clicks to either CSV, HTML, PDF or good old paper. The image above is a snippet of the top of the Shooting Day Report as a PDF, but there are also Clip, Thumbnail and Contact Print reports too. So at a very high level, that’s the process of creating colour graded dailies in Silverstack Lab. There are obviously tons of variables and useful metadata based workflow options that I haven’t covered, that all contribute to making it the trusted professional grade software that it is. Download a free 14 day trial with 20 offloads and give it a try for yourself. DIT and professional Photographer Thatcher Kelley was kind enough to answer some of my questions on working with the new Silverstack Lab and his experience as a beta tester for Pomfort. Thatcher has worked on a huge number of commercial’s with top brands as well as several feature films and TV shows. Before we even dive into the interview, you’ve got to click on this link and check out Thatcher’s photography portfolio. It’s stunning. How long have you been a DIT and what drew you to the role? I’ve been a DIT for about 8 years. I’m a nerd at heart. Colour science and digital video have always interested me. I love finding a balance between the technical and creative. So when I was a prep-tech I gravitated towards the DITs that would come in and prep. So when I left the rental house I started loading and pursued DIT as a job. What equipment do you rely on in your cart? The disco ball is probably the most important element of my cart. You can’t implement an onset colour workflow, or safely backup media for that matter without maintaining a party atmosphere. Aside from that I love my FSI 25″ OLED monitor in combination with my bias light and Backstage cart-mounted tent. I love having the ability to provide the DP with a proper image viewing environment just about anywhere, whether on the deck of a navy destroyer, the top of a rugged mountain, or on a boring old sound stage. I’m also loving my Teradek Colr LUT boxes in combination with Pomfort LiveGrade. Being able to wirelessly grade the live image is invaluable for my workflow. What do most people in post or production not understand about the role of the DIT? A lot of things. But that’s ok. I don’t understand most of what they do either. Everyone seems to have a different idea of what a DIT’s job is and what we do. It’s a job that’s only been around a couple decades, and since then it’s changed and morphed with technology and production needs. Even from job to job the tasks can vary greatly. So there is just a lot of confusion as to what the heck we do. If I could say anything specific it’s the lack of understanding that I’m not just backing up files and transcoding them. Assisting the DP with exposure, colour balance, and then helping establish their vision for the look of the image is the biggest part of the job. Shooting in Log or Raw is great because in post so much can be done to the image. But what can get lost in all this is how the person who lit and shot it intended it to look when they were lighting and shooting it. I’m the lab. In short, what’s your current dailies workflow process? My current process for dailies is pretty well established. I use Silverstack to download and backup the original media to production drives and my 8-bay RAID drive. Then I pull the footage into Assimilate Scratch, scrub through it all, sync sound, and check that scene/take and any other metadata is set correctly. I then apply a base LUT, whether it’s a default Rec709 LUT from Arri, my own custom built LUT, or a shot, day, or show specific LUT created when live grading. From there I match clips based on lens, filter, or lighting changes. I’ll then refine the look with the DP. After that I apply a pre-built output node set with any letter-boxing, burn-ins, watermarks, etc. for Avid, ProRes, H.264, DPX, or whatever else and set it off to render in the background while I work on the next roll. As dailies finish processing, I’ll go through each clip to make sure they open and start playing, then use Shotput Pro to copy them from my main RAID drive to multiple production drives. At the end of the day I create an ALE with all necessary metadata if it’s an Avid workflow. Does Silverstack Lab improve that process? Using Silverstack Lab to keep my entire backup and dailies process in one application can greatly improve my workflow. As I progress as a DIT, one of my main goals is to eliminate inefficiencies and steps taken. The fewer steps in my process, the less mistakes I’m prone to make. And I don’t like making mistakes. Also, the more simple the process is, the more brain power I can apply to other more important things. If I’m also using LiveGrade, I can apply Pomfort Look files directly in Silverstack Lab in a very seamless way compared to a LUT or CDL based workflow with a 3rd party app. Once I’m done with metadata, sync, colour, it’s very simple to set burn-in, watermark and other export settings and then start the transcode. While transcoding, I can get right to work on the next roll as it processes in the background. Transcode speeds are very fast. Once transcoding is done, Silverstack Lab automatically imports the transcoded clips into Silverstack Lab. This makes it simple to copy the transcoded clips to multiple drives directly in Silverstack. It also makes QC-ing the files easy. I can also include the transcoded clips in the media report. Silverstack links the original clips with the correlating transcoded clip. And lastly, Silverstack Lab is capable of not just exporting a comprehensive ALE file for Avid workflow, but it can export an XML file for Premiere that includes scene/take metadata. Whats your experience been with the beta so far? I’m always looking for a better solution to any aspect of my job. It’s been enjoyable playing around with Silverstack Lab beta to see if an all-in-one workflow is possible. I’ve even been able to test it on a couple low-key jobs where I can play around with the different functions, but still do full backups with a non-beta build for safety. I’ve enjoyed being able to stay in Silverstack Lab all the way through. No finder, no other apps. Just Silverstack [Lab]. What has your feedback been to the Pomfort team? The Pomfort team is great. I’m that guy that is just so full of ideas. I’m always emailing long lists to developers with ideas as if I’m the only customer that matters. I can’t help but think that Pomfort encourages my ego because they’re so responsive! In both Silverstack Lab and LiveGrade I’ve seen some of my ideas being implemented in updates over the years. Not only is this a nice ego stroke, but it shows that they really are in tune with the end user, and value the feedback of us loaders and DITs who use their products. What would you like to see fix/added in future versions? Lab isn’t released yet so more changes and additions could be on their way. But off the top of my head I can think of a couple things that I’d like to see changes with. The sound syncing is most of the way there, but I’d like to see more flexibility so that dealing with bad timecode is much easier on set and won’t require a lot of extra work. Being able to batch-adjust entire rolls when timecode is off by a few frames or seconds would be nice. Also being able to match sound and picture via visual timecode on a smart slate would be super handy. This is much simpler than having to match up slate claps. The other thing that could use some improvement is in grading. Compared to colour grading apps that have dailies functions, the colour grading is a bit clunky and slow in Silverstack. I’d love to see an ability to quickly call up stills to overlay and compare to the current clip. I’d also like to see the curves and HHS adjustments stay open when switching from clip to clip. And finally, just the flow of moving from clip to clip quickly and scrubbing is slow and not super responsive. Dedicated colour grading apps are smooth and fast when it comes from quickly moving around a timeline and comparing shots and saved stills. Is it a useful tool for non-DITs too? (eg Editors prepping rushes, creating dailies etc, working with assets from a DIT? I think it has a place anywhere dailies-creation is required. As a DIT, one of the biggest benefits for post using Silverstack Lab is that I can export a Silverstack Library Archive and send it to post for them to directly load the library that I was working with on set. Or if I’m building looks in Livegrade or Silverstack on set, I can send fully compatible Pomfort Look files to post for them to apply to the dailies.